This is a collection of comic strips about cats. 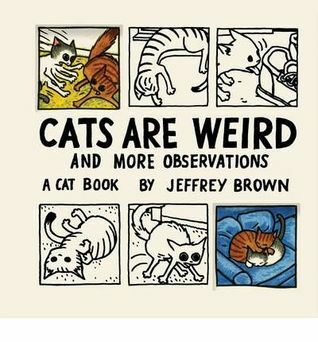 It is adorable, if you have a cat. If you don't have a cat, it may not be adorable. 1. Cute drawings of cats! 1. It was very short. I am glad that I borrowed it from the library, because I will most likely not reread it. Sign into Goodreads to see if any of your friends have read Cats are Weird and More Observations.